Snail, Where Are You? is a charming and delightful search for a snail! Each page has at least one snail-like swirl — could that be the snail? No? Maybe here? Not quite! Find it on the tuba, the waves, on the tails of ball-balancing pigs and more! Where is that snail? Originally published in 1975, it’s a timeless picture book that both my children love! Its simplicity, elegance, and good humor make this book a win! My fourteen-month old son’s favorite page is of the pigs balancing on the balls (you can see it below). When I read this book to him one-on-one — once we get to the pig page — he’s done. All he wants to do is look at this page and go no further. I’d love to know what he’s thinking when he looks at this page. When I first received this book, I wondered briefly if it was a little too young for my eldest son, but that has not been the case at all. Since the book is wordless except for the question, “Snail, Where are You?” and a “Here I am!” at the end of the book, we’ve started making up stories about each image and have been working on trying to make up a story that links these seemingly non-sequitur images together. It’s been so much fun! My eldest has given proper-noun names to all the animals and people on each page. He also created a valid reason as to why the snail isn’t on each page: the snail had to blow its nose, the snail needed to pee, and the snail wanted a gummy bear but his mom said no. This open-ended, mostly-wordless picture book has been wonderful at cultivating and encouraging his storytelling skills. It isn’t easy to find a picture book that I can read to both of my children at the same time — but this one does so with aplomb. All Ages. Phaidon Press. April 2015. 32 pages. ISBN:978-0714867991 Fiction. Hardcover. It’s fun! It is giggle-inducing pure fun. Seriously, we can’t just let snails go wandering through books and not find them. 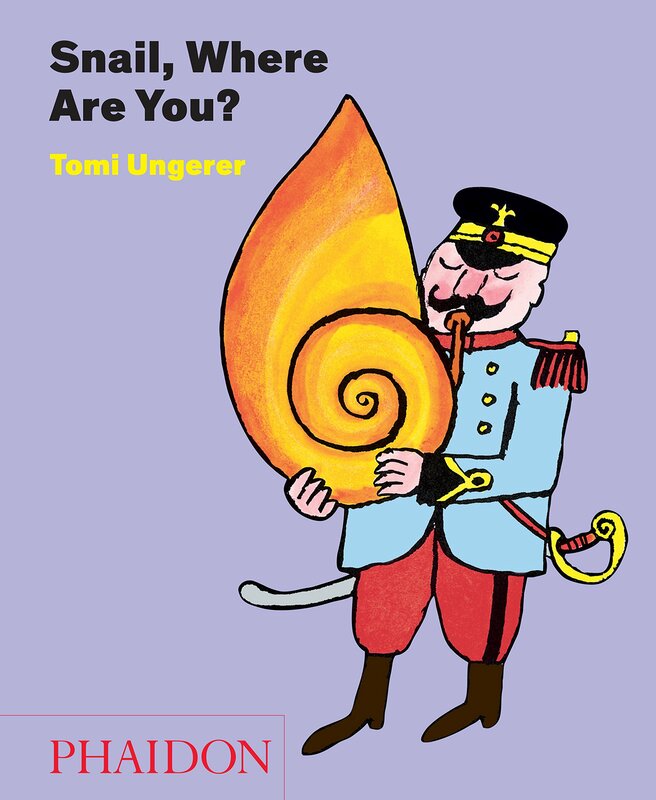 It’s by Tomi Ungerer and he’s positively brilliant. He makes the simple task of looking at swirls on a page and turns it into sophisticated learning opportunities — like learning what a pommel is, the names for various parts of a lyre, and parts of a violin (specifically the F holes and the scroll). Being a mostly-wordless picture book, it let’s older children do the storytelling. Wonderful illustrations! The swirls at first seem obvious, but as you go through it more and more you’ll notice a swirl here or there that you didn’t see before. Sneaky swirls! This is not the lift-the-flap version that I’ve read reviews of — people do like that version — but with this version I don’t have to worry about my littlest one ripping off the flaps when we read it. The images are so interesting on their own that this would make a great storytelling or creative writing exercise. You can go through this book as quickly or as slowly as you see fit. It artfully fills up as much or as little time as you need or want it to. From Snail, Where Are You? by Tomi Ungerer. © 2015 Phaidon Press Limited. Used with Permission. 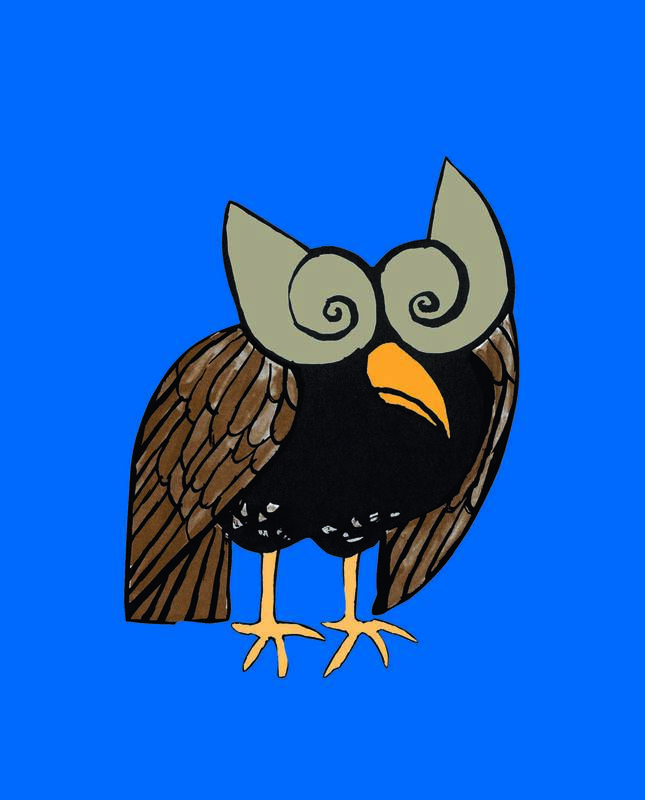 Categories: Children's Books, Kidlit, Picture Books, Picture Books about Snails, Recommended Picture Books • Tags: Book Review, Children's Books, Highly Recommended Picture Books, kidlit, Phaidon Press, Picture Books, Snail, Tomi Ungerer, Where Are You? When my son discovered The Hat and The Three Robbers, he was hooked. I had to acquire the taste for Ungerer. This author helped me realize that what appeals to my child, is not necessarily what appeals to me (which was a pretty big ah-ha moment for me). However, I love weird and quirky storytelling, so I was a quick convert. I appreciate that Ungerer, like Silverstein and Steig, can get away writing about things some parents would consider wildly inappropriate-which may be why kids love them so much! That’s so true! How do they do it? How do they know just what a kid wants? It is a form of magic! Have you all read Otto: The Autography of a Teddy Bear by Mr. Ungerer as well? That’s a very powerful book and one of our all-time favorites. I’ve been meaning to write a review about it for sometime, but I haven’t adequately been able to express how much this book means to me and my family. I hate the word genius, because it implies an effortlessness to it — and I definitely think that there is a lot of effort that goes into his books — but there’s something incredible about his books that I seriously doubt can be learned. I haven’t read The Hat yet, but I’ll have to remedy that soon! Thank you so much! I have not read Otto. I’ll check it out. I envy your talent for writing reviews. It’s always a treat for me to read what you’ve written. Thanks for sharing your infectious love of picture books!